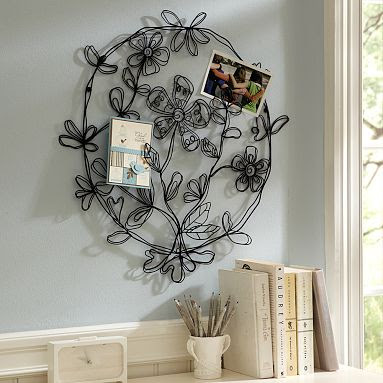 These twisted wire photo and card holders with black finish looks very stunning when placed on walls of your bedrooms. This is another way to showcase your collection of favorite photos, post cards and greeting cards. It's a good thing to get organized. This gives you a sense of satisfaction and and it's really a great relief to be able to find your favorite stuff in a glance. You can get these online at pbteen. Disclosure: This is not a sponsored post. All opinions are mine. wow...cute! i like these holders! These are indeed wonderful house decors. It allows the showcase of your family photos too. Thanks for the idea for our future house. gusto ko nung first one - pero dapat sa'kin KM ;) makahanap nga nito sa Wal-Mart or Ikea. Hehe!